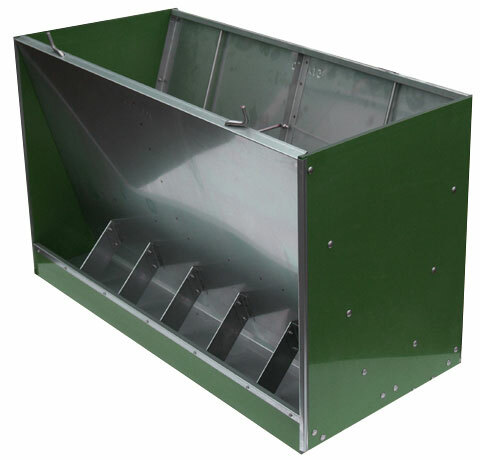 Dry feeders from Stalko are suitable for all types of feed and every type of housing. For small and large groups of pigs in every phase of life. 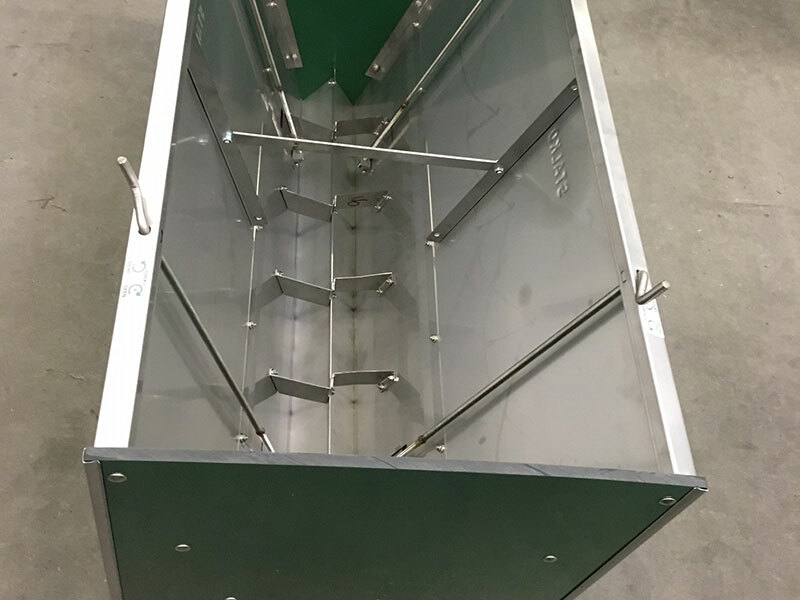 Stalko feeders have stainless steel front plates and feed slides. 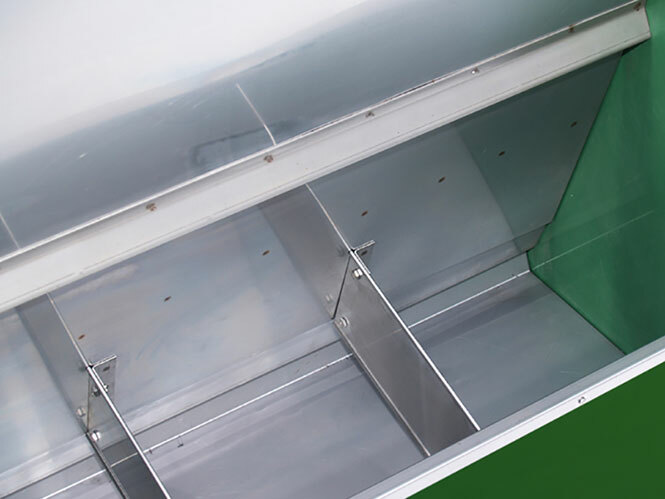 The troughs are divided into sections using solid, stainless steel dividers. The plastic is 12 millimetres thick. 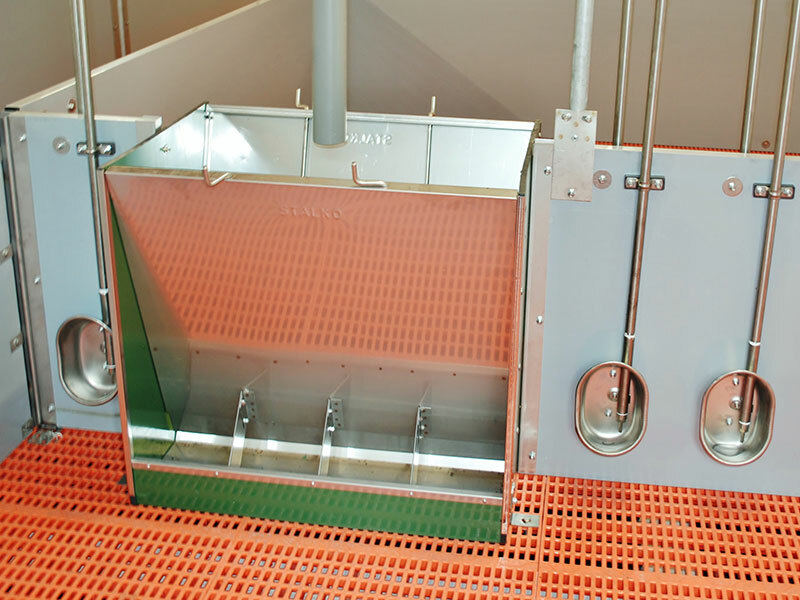 This allows the pigs easier access to the feed and minimises spillage and waste. 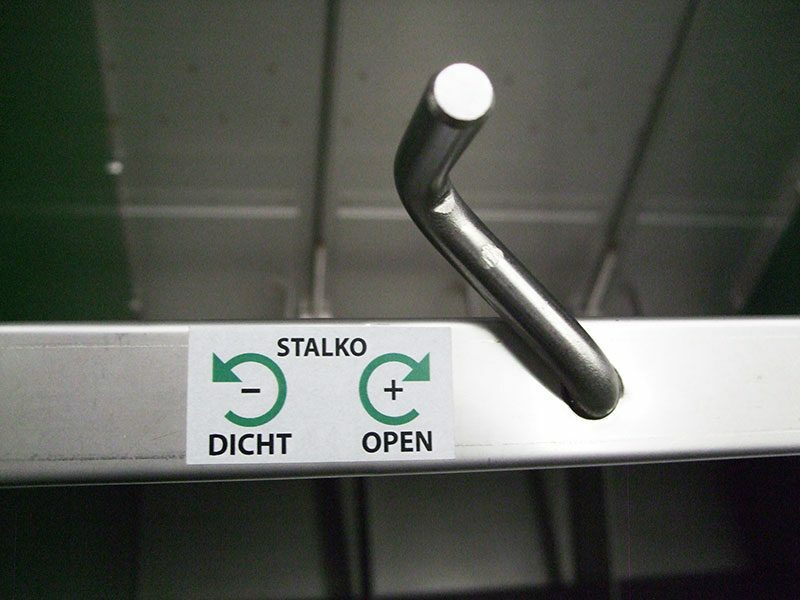 The entire construction is mounted using a stainless steel nut and bolt connection. 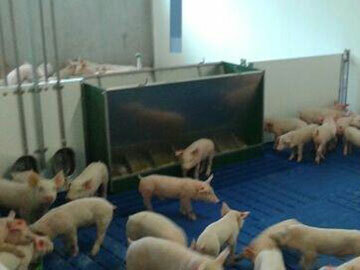 Various profiles are available to mount the feeder on a partition between two pens. View other Groba products that may be of interest to you here. 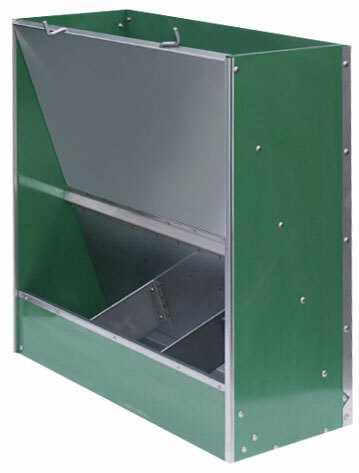 Full stainless steel with solid trough dividers. Infinitely adjustable for accurate adjustment. 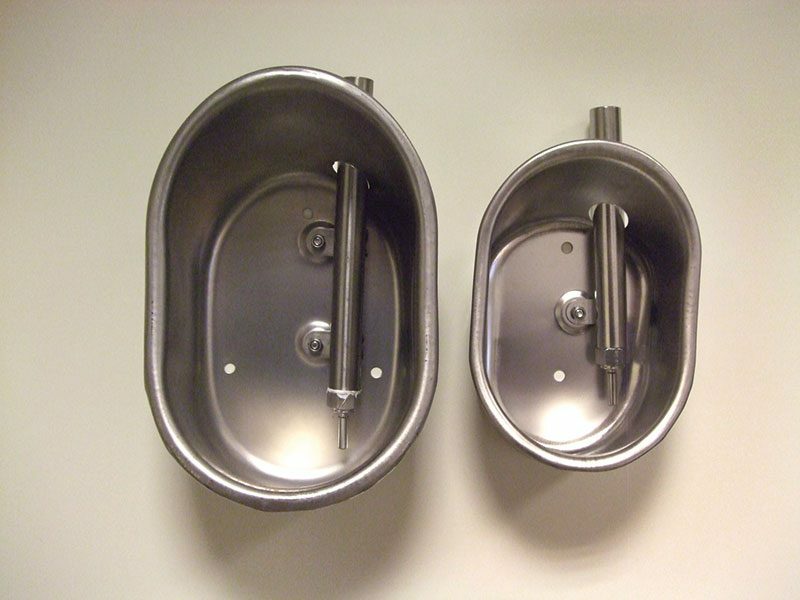 Loose stainless steel bowl drinkers in various sizes. 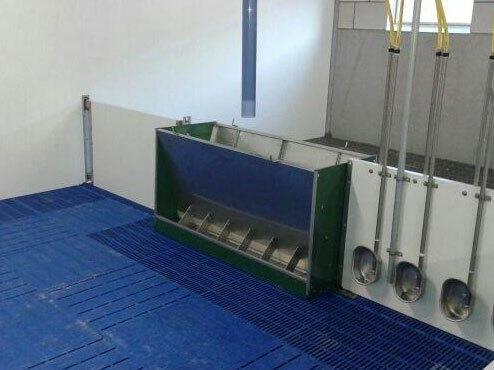 Double Feeders can be placed in the partition between two pens. Range of different profiles available.